We provide our clients High Speed Single Load Cell. 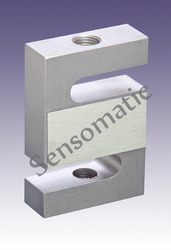 We also offer a wide range of High Precision Single Ended Shear Beam Load Cell. We have with us rich industry expertise in successfully handling the demands of S Type Load Cells. These comprise Low Profile designs, Low Deflection & Creep, Excellent Overload Capability and Standardized output for Multi-Transducer Applications. Looking for High Speed Sensor ?